Kansas Grains Kansas agriculture is producing healthy, bountiful food in a sustainable manner. Monsanto: Who are they and what do they want from us? After a trip to Lawrence Kansas last summer I found myself asking who is Monsanto? I was driving out of the Target parking lot where I saw a STOP sign accompanied with the word ‘Monsanto’ underneath. This honestly just confused me at first. I started thinking to myself- they are just seed dealers, right? I looked into the ‘March Against Monsanto’ movement a little more that summer and familiarized myself with the company itself and what their overall mission statement was. Upon doing my research, I asked family and friends who follow me on Facebook one simple question. I said ‘What is one word that comes to mind when you hear Monsanto?’ I got over 30 different answers- that is what you will find in the word collage above. My initial thought was that I would have ag people giving mainly ag responses. I was extremely excited when I got feedback from people with differing opinions. This wordle above has every response, so you can see that there were some differing opinions. I felt like it needed to be addressed- why are there so many different opinions? What is the common ground here? What do these two entity’s have in common? They both want a safe and abundant food source. 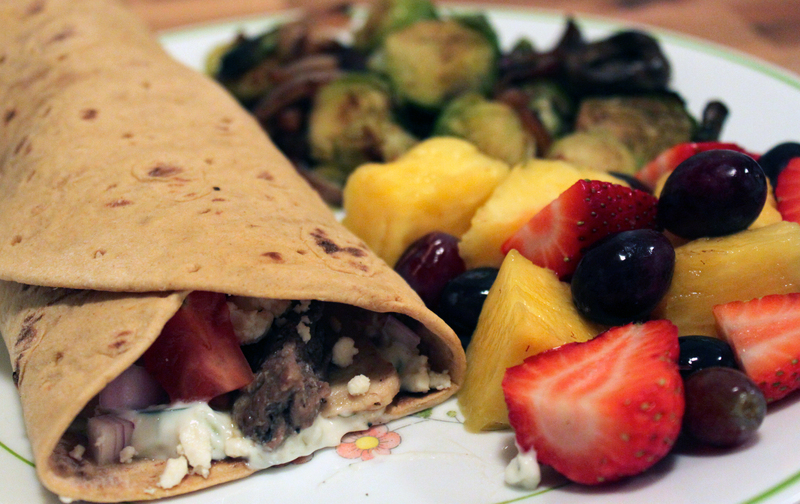 As foodies, moms, families or food consumers of any type, we want to know what we are eating. I grew up on a small family farm in Eastern Kansas so you could say that I know the struggles of a being part of a small family operated business. On the contrary, I am also a grocery shopper so I know the struggles of choosing what is best for me to eat at the store. After listening to Robert Fraley, the 2013 World Food Prize winner and also the Chief Technology Officer for Monsanto, I again, stand assured that our food source is safe and nutritious. According Fraley’s talk, biotechnology has been approved in 37 countries. There has been study after study done to ensure the safety of GMO crops not only by the regulatory agencies in the United States, but also to over 40 other countries due to the amount of grain we export. There are activists who have their strong beliefs and probably can’t be swayed by the truth. However, there are millions of moms, dad, brothers and sisters who hear the anti-GMO message and truly have questions. There are many farmers who use these products who are ready to share their own stories about how and why they use GMO crops. There are many credible scientists who can speak to the safety of GMOs. Let’s open a discussion and create better understanding. I was in Washington DC last week for the National Corn Growers Corn Congress. I extended my stay to do some sightseeing with my grown son, so I ended up spending 6 days in DC, which is way too long. I’ve been smiling nonstop since I returned home, just happy to be here, somewhere normal! It’s not my first trip to DC, but I did accumulate a lot of random observations. I spent most of my time with farmers from Kansas and many other states. Words that describe my farmer friends include the following: kind, intelligent, polite, funny, sophisticated, outspoken, focused, professional, friendly, well-rounded, honest, informed. Our farmers sat through long committee meetings, two delegate sessions and visited every member of our Congressional Delegation. All the while, they were also using their smart phones and tablets to keep track of the markets, check email, and kept in contact with their families at home who were running the farm in their absence. There were many farewell speeches at Corn Congress this year with NCGA Exec Rick Tolman retiring, as well as Nebraska Corn’s Don Hutchens, Monsanto’s Marsha Stanton and John Deere’s Don Borgman. Our own Jere White was honored at the March Corn Congress session for his retirement. New leaders will rise to take their places, but those are some big shoes to fill. Speaking of leaders, I was so impressed with the members of the DuPont New Leaders Program offered through NCGA. Farm couples are encouraged to go through the program together. This cultivated two new leaders from Kansas: Tom and Sandy Tibbits of Minneapolis. The program’s final session was held around the Corn Congress event. 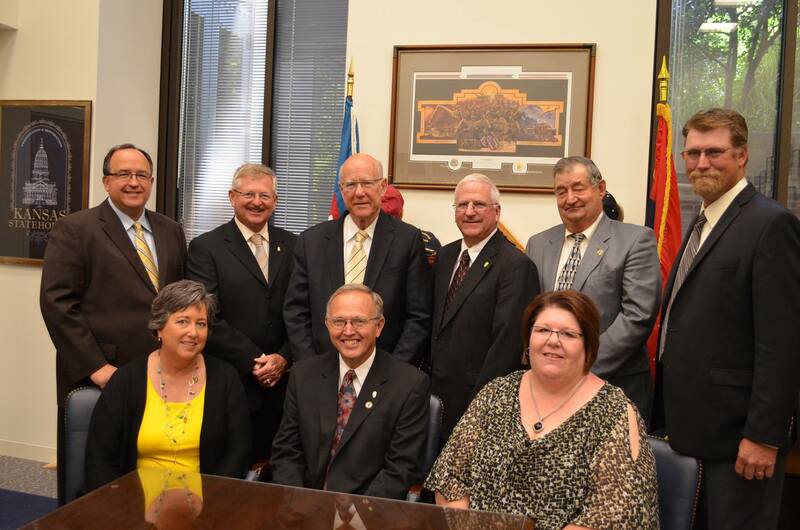 We were happy to have them along on our Hill Visits and Tom was able to help Kansas Corn by serving as a delegate. Tom is already on the KCGA board and we have plans to use make use of Sandy’s skills as well as an advocate for agriculture. Speaking of Hill Visits, many of the Congressional offices have offered Russell Stover candies to their visitors for years. With the new Mars candy factory in Topeka, many of our offices have candy bowls with Peanut M&Ms and Snickers bars as well! And Cheezits. Did you know all Cheezits are made in Kansas? I serve on the Corn Farmers Coalition steering committee, an image program that aims to educate and inform Washington DC decision makers about corn farmers. This year’s campaign has just begun and I sawourfull page ad in The Hill newspaper, as well as ads online and intheMetro trains. This year’s ads have an innovation and technology theme because the focus groups we used when planning this year’s campaign were fascinated by the use of technology on our farms. I remember one focus group participant saying, “It’s kind of neat to think that those farmers are using the same iPad as me.” It is not always easy to overcome the stereotypes about farmers that many people have. On one hand, they are surprised to learn that 98 percent of all corn farms are family farms–many folks think that our farms are owned by big corporations. On the other hand, they think farmers look and work on the farms just like they did 50 years ago. When we talk to these people about GPS guidance and mapping, precision agriculture, they get really excited. 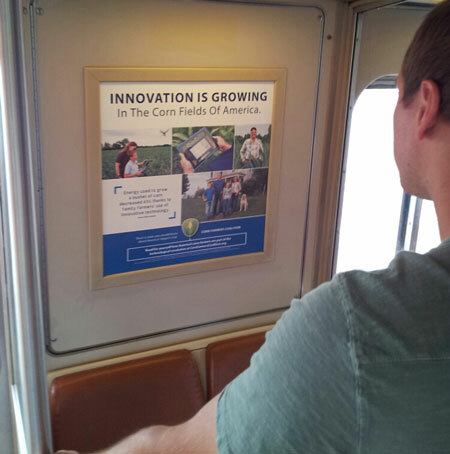 This Metro passenger was extremely interested in our CFC ad! There is some corn planted in front of USDA. And the US Botanic Gardens is featuring a wheat display called Amber Waves of Grain. I saw a lot of advertising in DC. I saw an excellent ad in a Metro train placed by Humane Watch. It explained that HSUS, the Humane Society of the United States, only gives 1 percent of its funding to local humane shelters and encourages people to donate to local humane society shelters instead. On the Metro, we sat next to a woman holding a takeout bag from Chipotle. Over the years, I’ve discouraged my kids from eating at Chipotle for various reasons (primarily because it’s danged expensive! ), but also because of how the corporate burrito company bashes farmers who grow the food. Sitting next to my son, who is a devout capitalist, I pointed to the bag in the woman’s lap and told him to read it. This quote is from Chipotle’s “Cultivating Thought” Author Series. If no one must work, who will make the burritos? I’m all for love and peace, but just sitting around feeling love for one another might get a little boring after a while. 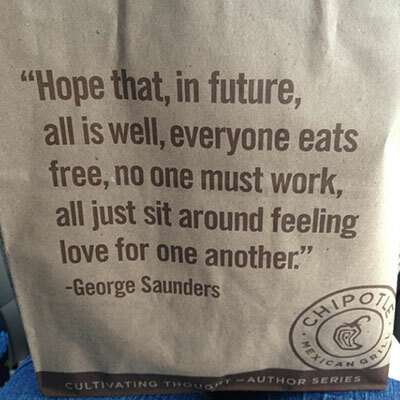 More importantly, Chipotle, if no one works, where will all that free food come from? Who will make the burritos? I’m for free speech and an open exchange of ideas, and I enjoyed reading the bag that held a nine dollar burrito. But I do have the right to disagree. My capitalist son, who in the past has been disturbed by Chipotle’s anti-farmer statements but still ate the corporate burritos, was even more disturbed by that quote. Norman Borlaug is the new guy in Statuary Hall at the Capitol. We saw the new statue of Norman Borlaug, the Father of the Green Revolution, during our tour of the Capitol. 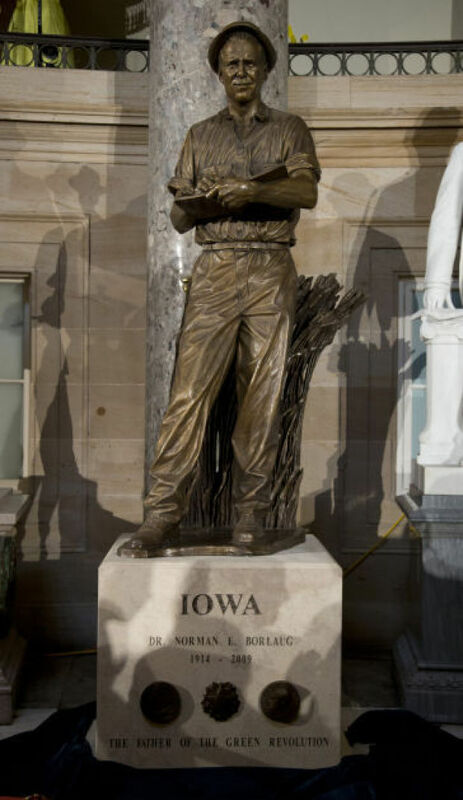 That an Iowa plant breeder is honored in this way Statuary Hall in the Capitol is significant. His work which created a high-yielding, disease resistant wheat is credited for saving a billion lives. Borlaug was a strong supporter of the promise of biotechnology and urged people to stand up to the anti-science crowd. I couldn’t help but wonder if anyone has ever counted up the number of Greek columns in DC? It made me remember the Architecture Appreciation class I took at K-State where we learned about Doric, Corinthian and Ionic columns. Speaking of art and architecture, if you are a corn grower, look around in DC–there are many depictions of corn in the Capitol and many other places. In fact, the photo here shows a corn capital in the Capitol. A capital is the top of a column. According to the Architect of the Capitol: Carved by Giuseppe Franzoni from Aquia Creek sandstone, these columns were installed in the Hall of Columns of the U.S. Capitol in 1809. The fluting of a conventional shaft was recalled by bundled corn stalks. On the capital, husks were folded back to reveal the cob and kernels of corn. I was struck by the friendliness of the people in DC on this trip. I think this was influenced by the unusually cool weather. One cab driver told us that the cooler weather was a disaster for cabbies because everyone wanted to walk instead of taking a cab. He joked that he would have to charge us double. Judging by his meandering route to our destination, I don’t think he was kidding. Today is the day. After nearly three years, this is my last day in the Kansas Corn & Grain Sorghum office. It has been a pleasure to work with all our growers and to meet so many genuine folks. Thanks to social media, I’ve been able to connect and learn from farmers across the nation—and world. With the U.S. Grains Council I had the opportunity to travel with corn growers to China for the Spring Corn Tour last May. 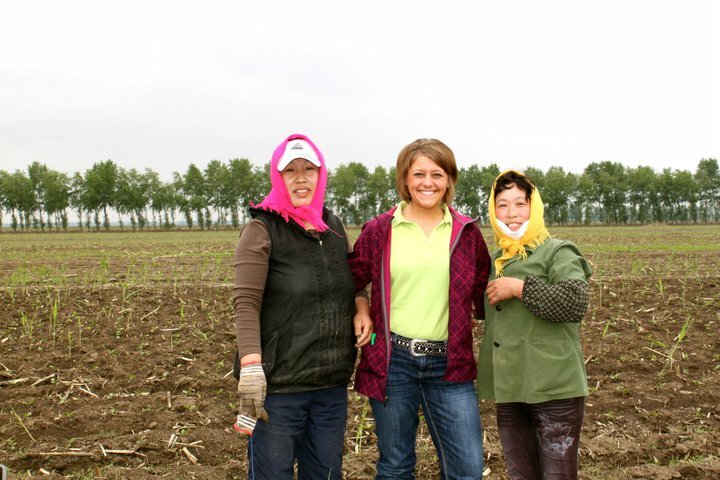 I learned about Chinese corn production and gained more knowledge about exports. One of my favorite projects over the past year has been CommonGround Kansas. I’ve met so many strong and talented women who inspire me. Thanks to each of the volunteers who have been a pleasure to work with. 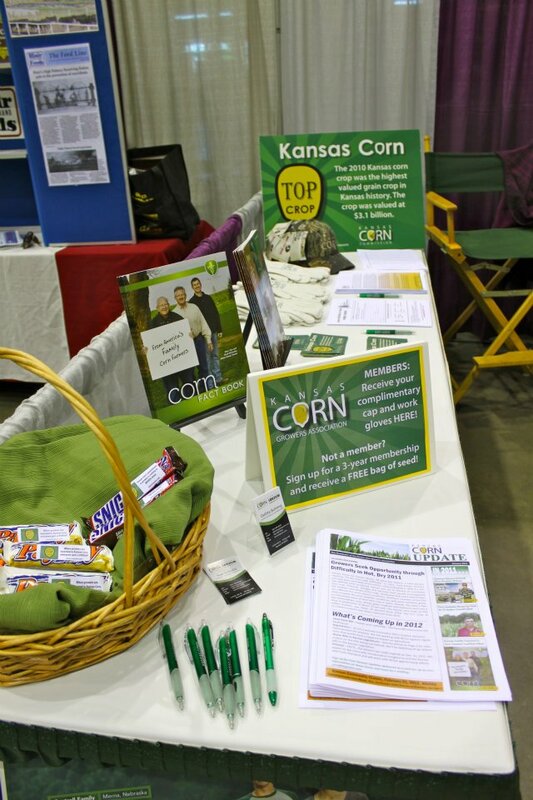 I’m leaving the communications specialist position with a strong social media presence on Facebook and Twitter, a brand new website (if you haven’t checked it out yet, please do), new logos for the Kansas Corn Growers Association, Kansas Corn Commission, Kansas Grain Sorghum Producers, and branding for Agriland at the Kansas State Fair. 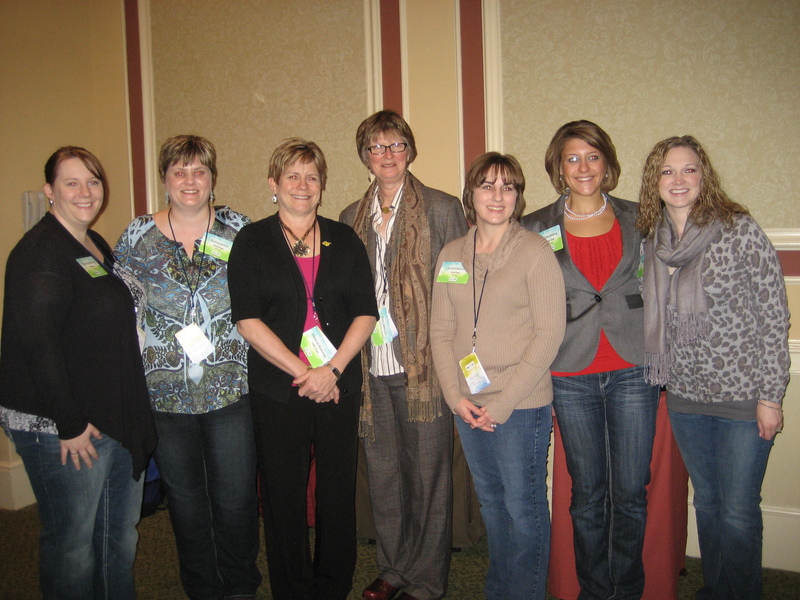 The best compliment I received came from one of our corn growers at Commodity Classic the first year I attended. He asked me to tell him about my family farm back home and was shocked when I informed him that I didn’t grow up on a farm and I didn’t study agriculture in school. I must have blended in well! He asked how I was able to share so much about agriculture though our website and social media platforms and I explained that everything I had learned had come from the research I did or the folks I met. I thank those who answered my e-mails, tweets, and Facebook questions. A special thanks to Pat and Mary Ross and Kirk Wiscombe for letting me visit their farms each time I asked. I greatly appreciate you taking time out of your busy schedules to teach this Iowa girl a few things about Kansas agriculture! I’m on to new adventures at William Jewell College in Liberty, MO where I’ll be the Communications Manager for the Harriman-Jewell Series. Please continue to keep in touch with me on Facebook and Twitter! It’s been a pleasure getting to know each of you. How can we best feed the word? Alex Avery of the Hudson Institute talks about how to best protect the environment with regards to agriculture on a new episode of Green State TV. Alex Avery also speaks about pesticides and herbicides which help growers produce more per acre in a sustainable manner. Today, growers are able to produce more with less soil erosion. 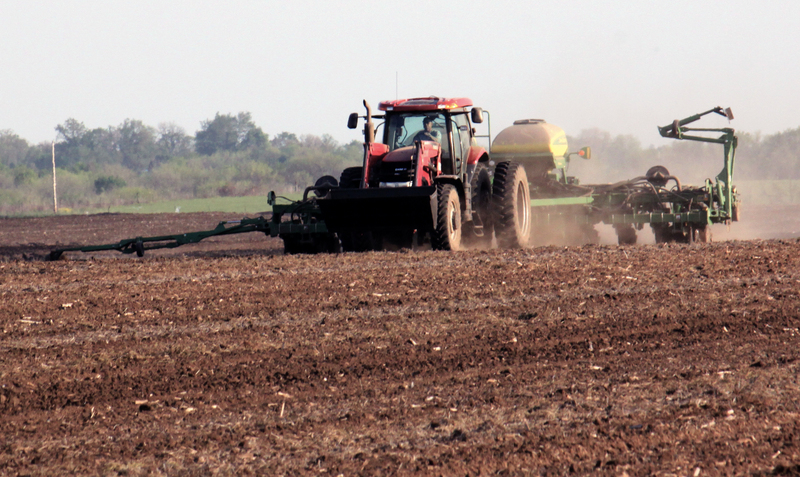 Farmers have adopted conservation tillage on millions of acres of land – and continue to expand the use of no-till and minimal till practices. The benefits for the environment are significant. No-tilling means remnants from the previous year’s crop are left untouched. Not only does this improve the soil over time, but it significantly reduces soil run-off during snowmelt or heavy rain. In fact, the U.S. Department of Agriculture noted that America’s corn farmers have cut soil erosion 44 percent in two decades by using these innovative conservation methods. Avery gives credit to a popular herbicide, Atrazine which has been used by corn, sorghum, sugarcane and other produce growers since the 1950s. Atrazine is the cornerstone of sustainable, low erosion, no-till farming which has revolutionized sustainability in agriculture. 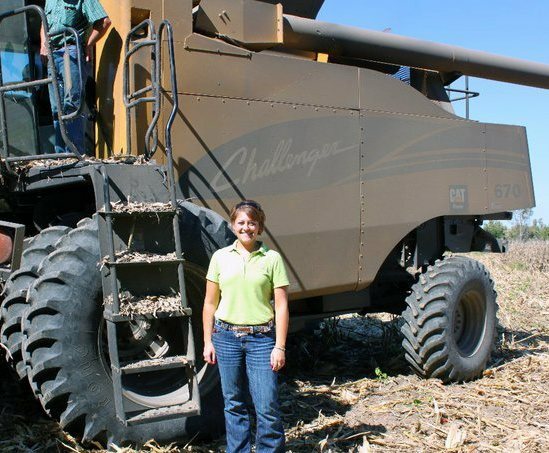 Conservation tillage is an option for more farmers today because of technological advances. Corn plants that are resistant to safer herbicides means controlling weeds in a no-till field is more efficient and less harmful to the land and people. Seed that resist insect damage mean fewer insecticides are needed to protect the crop, and that means fewer passes across the field. These technologies are made possible through biotechnology. With advancements in technology, farmers can continue to produce more food with less soil erosion, less fertilizer, less acreage, less water and less fuel. America’s farmers have a moral obligation to care for Mother Earth and produce food for a growing population. The agricultural industry plays defense time and time again. Food is often a victim of misunderstandings, as most consumers are generations removed from the food source and the process. Food is an entry point to climate change, employment, health, immigration and the economy; making it a pretty easy target. The most recent misunderstanding: “pink slime” or “lean, finely textured beef”. 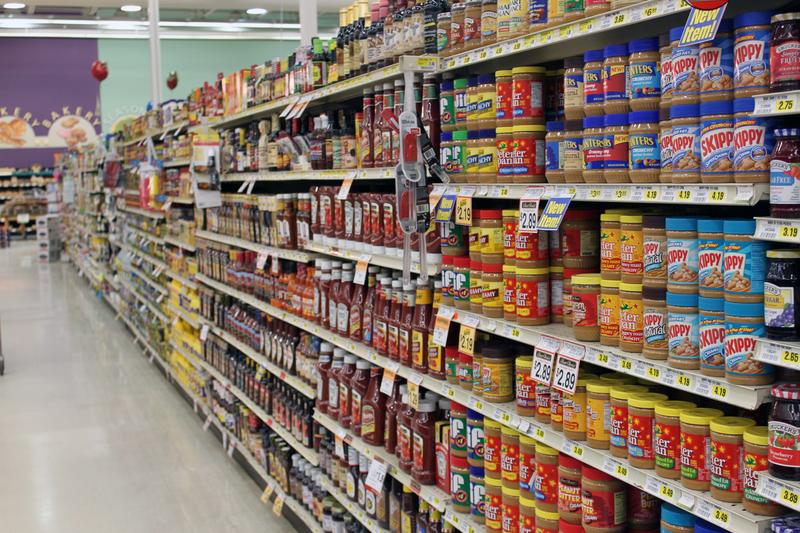 This controversy over processed food has been all the rage in the media recently. Hy-Vee, a Midwestern supermarket chain, ranks among the top 20 supermarket chains and the top 50 private companies in the United States, and for good reason. 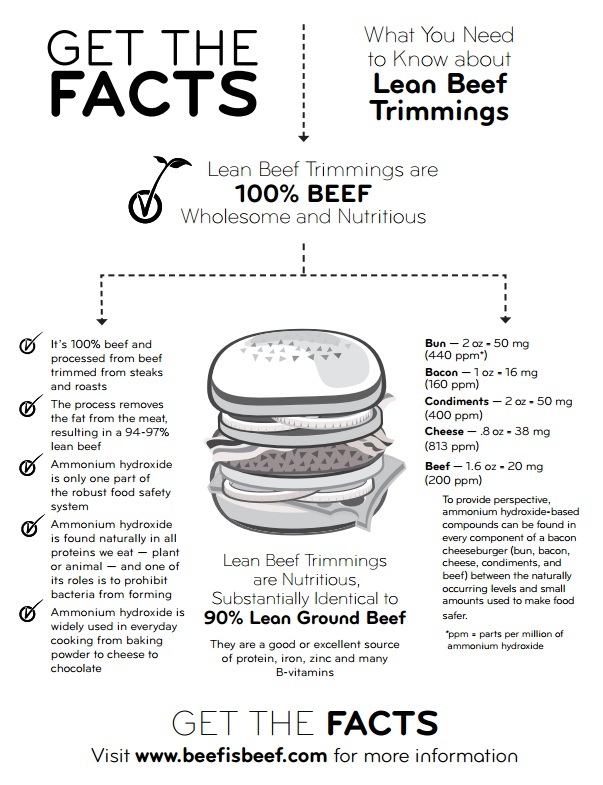 Hy-Vee’s “helpful smile” is seen in the meat counter aisle this week as they listened to their customers and released this statement yesterday regarding lean, finely textured beef (LFTB). I believe Hy-Vee deserves to be commended for their service to consumers and not buckling under the media hype. Consumers and “agvocates”, thanks for making your voice heard and asking for what you wanted from the grocery-store chain. There is no reason for lost jobs and hurt families over something that’s a non-issue. 236 families have temporarily lost at least one income at just the Garden City, KS plant alone. Hy-Vee took a risk and stepped out in support. Let’s show them we have their back. Let them know on Facebook or write Hy-Vee to show your appreciation. You can also fill out a comment form here. Hy-Vee continues to show that consumers come first. Please join me in thanking them. I recently saw an article posted on Facebook from The Huffington Post called “Vegetarian Diet Could Make You Happier and Less Stressed, Study Shows”. I consider myself an optimistic, healthy and happy omnivore, so I decided to take a look. Though I experience stress (usually self-inflicted), running has become a great outlet for me. Personally, I would become very grumpy (and stressed) without beef, pork and poultry as a regular part of my diet. I think it’s safe to say as a whole, Americans are increasingly overfed yet undernourished so it’s essential that we get the most nutritional value from the food and beverages we enjoy. I enjoy meat. I’m not turning vegetarian. What are the benefits of consuming meat? Since meat contains a great deal of protein, it repairs and promotes the building of body tissues and produces antibodies that will protect the body from infections, therefore strengthening the immune system. Since meat contains all the essential amino acids, it ranks as one of the best sources of protein. Meat is rich in iron, zinc and selenium which results in forming hemoglobin that transports oxygen to different parts of your body, tissue formation and metabolism, and breaking down fat in the body. Meat also contains Vitamin A, B and D which promote good vision, stronger teeth and bones as well as support the central nervous system. What do I think is the biggest benefit of meat consumption? It tastes excellent. Therefore, it keeps this girl happy, healthy and loving life! There are a few stores that I can’t seem to exit without spending a great deal of money. Target, Younkers, The Pink Suitcase and the grocery store, just to name a few. While sometimes I can’t control my desire to shop for the most recent fashions, I have learned a few things about grocery shopping. #1: Don’t go hungry. Seems easy and we’ve all heard this suggestion but we still do it. I am much better off going to the store AFTER I’ve eaten to avoid impulse purchases. #2. Plan ahead. Planning out your week or at least a few meals and making a list will save you multiple trips to the grocery store. My trips to the store recently got out of control so I’m focusing my efforts on this one! #4. Don’t be fooled. Organic, natural, and hormone free foods are generally more expensive. You always “get what you pay for” so these foods must be better for you, right? Wrong. There is no nutritional difference between organic food and non-organic (also known as conventional) food. #5. Feel good about living in the U.S. where we have abundant, affordable, nutritious food at our fingertips. I often wonder if I’m paying too much for food. However, I must say that we’re fortunate in the United States to have to spend only 10% of our income on food, versus 18-25% around the world. Food in our country remains relatively inexpensive and we’re also fortunate to have a wide array of choices. Are farmers getting rich when I pay more for food at the grocery store? Actually, the U.S. farmer’s share of the retail food dollar has been declining for more than 60 years. In 1950, farmers received more than40 cents for every food dollar that consumers spent in the store. Today, they only receive 19 cents. Transportation, marketing and distribution account for a substantial portion of food prices. To learn more about food prices, food and farming check out http://www.findourcommonground.com. What does it mean to be a Family Farm?